Turf Toe is damage to the ligament under the big toe. Small tears in the fibers of the ligament are from an over-stretching of the ligament. Turf Toe is just the name given to the ligament sprain, as is often caused by running on grass surfaces. Athletes who get this condition are often soccer, football and grass hockey players. Other sports activities in which turf toe shows up in is tennis, racquetball, volleyball, judo, kung fu and other martial arts. Those who do the "Long Jump" can often injure the ligament at take off. Reduce the initial pain and swelling with ice packs. Take the weight off and elevate the foot with the turf toe to reduce swelling. An oral pain killer may be helpful to ease the pain. We suggest you see your doctor for his/her professional advice first. An x-ray may be taken to confirm if it is just a ligament tear or if one of the bones is fractured. We recommend Prolotex™ Far Infrared Therapy Socks for healing ligaments! 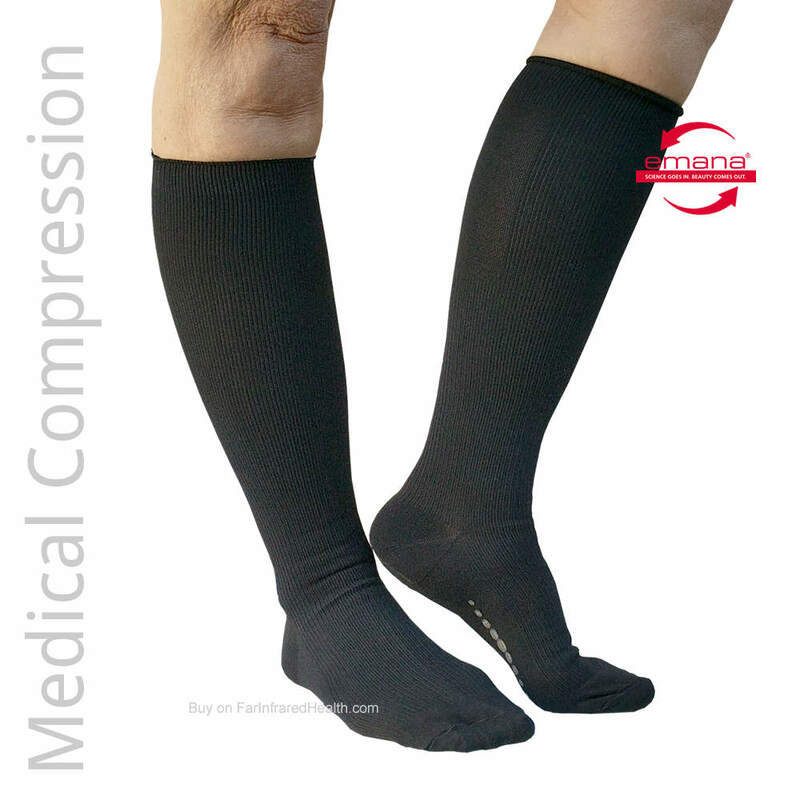 Prolotex™ FIR socks help heal torn ligaments faster! The threads in Prolotex™ products are impregnated with a safe formula of bio-ceramics that emit beneficial far infrared rays (FIR). These waves of soothing energy penetrate deep into the tissues of your feet and basically increase (stimulate) the molecular activity of the cells. The stimulation of the tiny capillaries and veins in your feet dilate the cells and allow fresh oxygenated blood containing vital nutrients to reach afflicted areas. Swelling is reduced, accumulated toxins are released, bacterial infections are retarded, and ligaments will mend faster. Far Infrared Rays are very helpful in reducing inflammation and relieving your pain. Depending on the severity of the Turf Toe and how long you have been experiencing symptoms, it may take a bit longer to feel the benefits of natural FIR therapy.